L.A. Couny sheriff's detectives are investigating a vandalism attack on a Carson church as a possible hate crime. 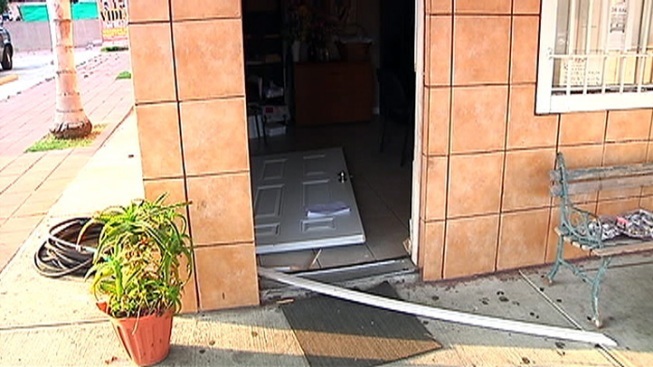 Someone damaged several doors at Our Lady of Guadalupe Catholic Chruch on Carson Street. It happened either late Sunday night or early Monday morning. Investigators say, inside the priest's quarters, some drawers were damaged, as was a rosary with an image of the pope on it. Nothing was stolen, and that's led the detectives to believe it was possibly a hate crime. The investigation is continuing.